Spot the missing HTC model. Bad news for anyone out there desperate to get their wrists on the long-rumoured HTC smartwatch: its launch has been pushed back again, this time to the autumn, according to a tweet from well-informed serial tipster Evan Blass. The timepiece had been due to arrive next month but it seems HTC engineers need yet more time to get everything right for the device. The release date has already been pushed back several times - obviously the Taiwanese firm isn't taking any chances. Don't forget HTC was named as an original Android Wear partner back in 2014 - that's two years ago, by our maths - and since then it's had nothing to show in the wearable space except some fitness devices developed in partnership with Under Armour. 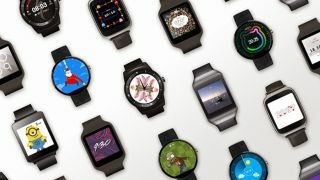 When the hardware finally does arrive, the software will be ready: Google just announced Android Wear 2.0, which brings with it better fitness tracking, more independence from tethered smartphones, and support for handwriting recognition. Perhaps the fact that no one's really nailed an Android Wear smartwatch yet is giving HTC pause for thought - there are several decent models out there, certainly, but none that you would really class as must-have gadgets for 21st century living. Let's hope when the HTC smartwatch sees the light of day it's worth the wait - it definitely won't be a rushed job. In the meantime, the company will be focusing on selling as many HTC 10 smartphones and HTC Vive VR kits as it can. Is it time for the HTC 11 yet?